Someone has stolen all your Halloween decorations and the house looks bare. 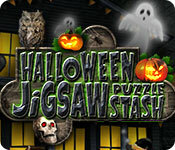 Play through numerous classic jigsaw puzzles set in the Halloween theme. This is Halloween fun the entire family can enjoy. 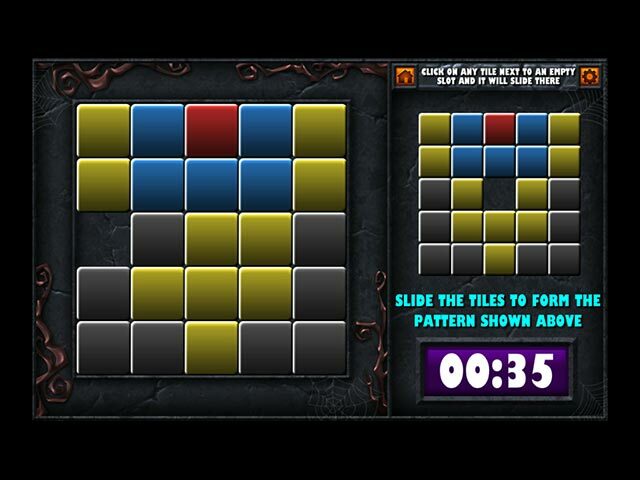 Form the correct pattern in the slider mini puzzles to unlock bonus items. Get fun animated Halloween decorations that will make your house look the best in town. 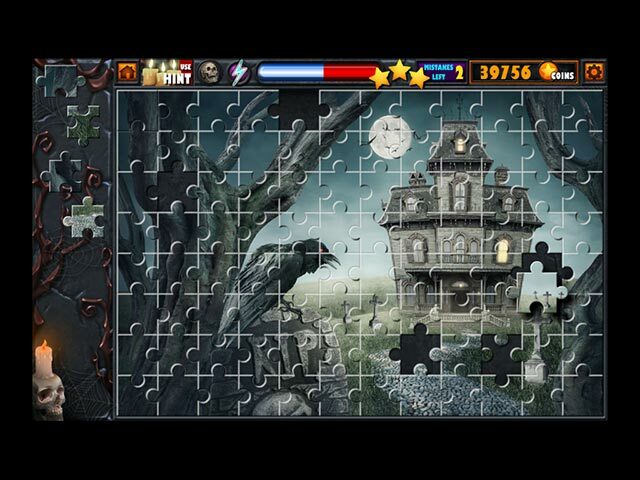 If you like Halloween Jigsaw Puzzle Stash game, click to start Halloween Jigsaw Puzzle Stash download. 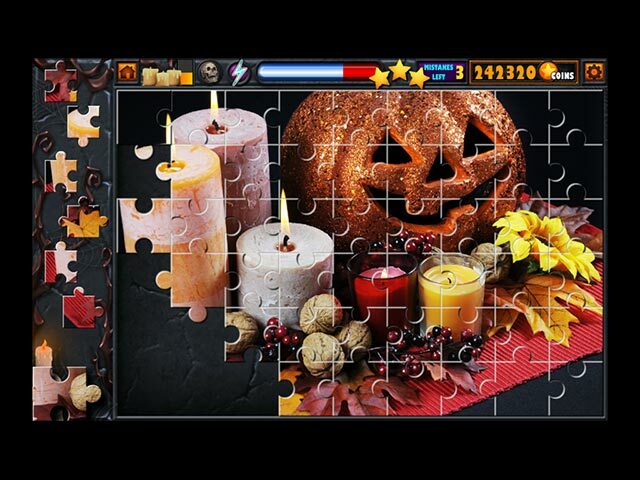 Sign-up to get informed when the Halloween Jigsaw Puzzle Stash series has new game released with BD Studio Games' FREE bi-weekly newsletter.